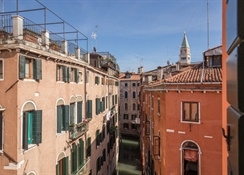 Enjoying an ideal location in the heart of the San Marco quarter, the 4* Bella Venezia lies right between Rialto Bridge and Saint Mark's Square. 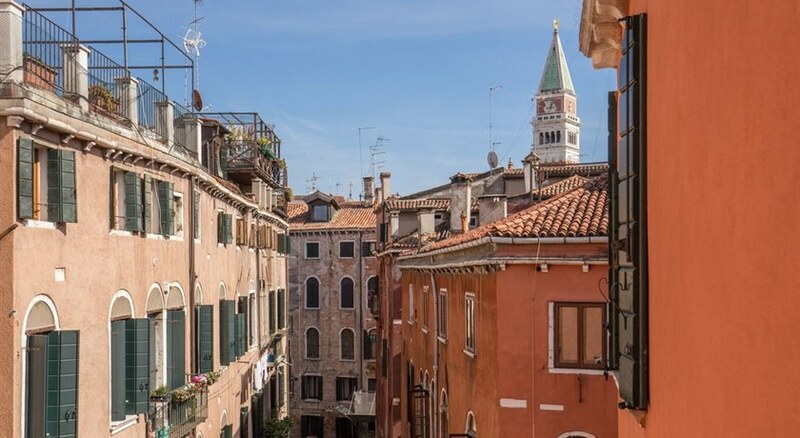 Not only is the hotel excellently situated but guests, with luggage arriving by waterbus (vaporetto), will be pleased to know there no bridges to cross in order to reach the Bella Venezia (waterbus no. 1, Rialto vaporetto stop). 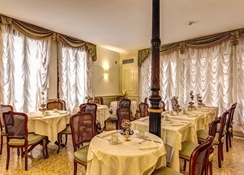 Having opened in late 2006, the hotel features contemporary facilities and safety features set within a historical building on the popular Calle dei Fabbri. 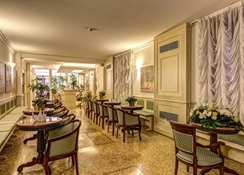 Bright and spacious public areas are a rarity in Venice but the Bella Venezia's reception area, lobby and lobby bar ensure guests have plenty off space! Guestrooms are tastefully furnished and decorated, and, again, manage to combine contemporary amenities with traditonal Venetian styling; all accommodation features air conditioning, fully stocked minibar, cable TV, personal safety deposit box and hairdryer as standard. To complement the overall quality of this 4-star hotel, an American Buffet breakfast is included in the price pan.